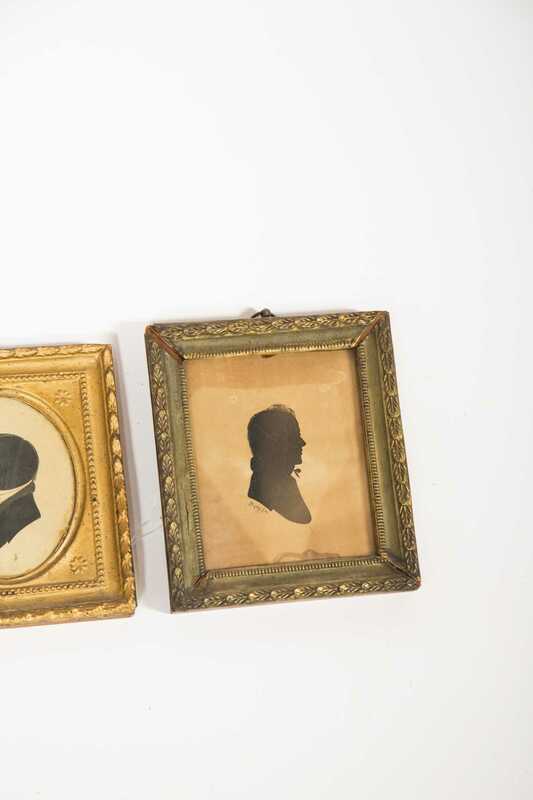 Lot of Four Silhouettes of E19thC Gentlemen, A) A cut profile of 'F. 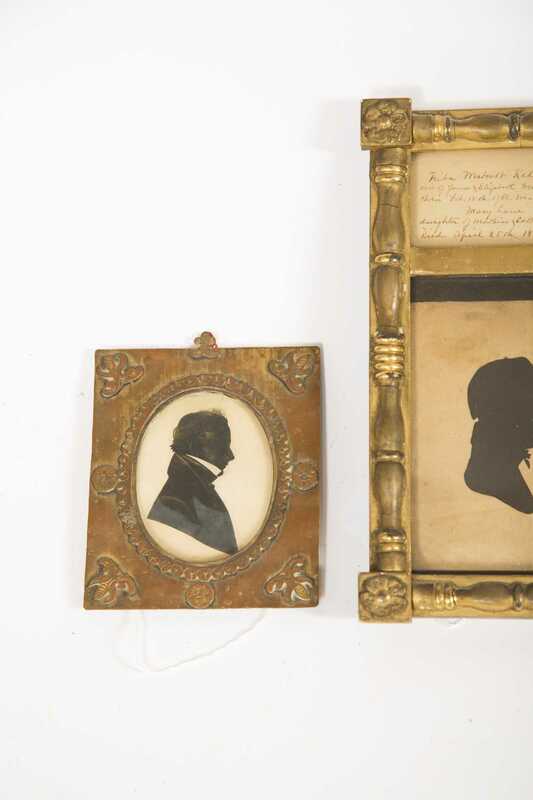 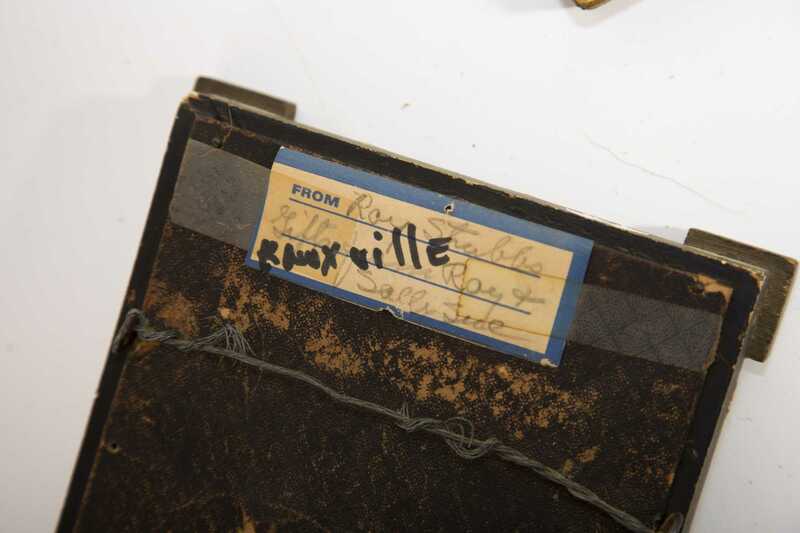 Westcott Kellum" (1782-1832) as noted in the tablett section of an empire frame miniature, family history section on back, from Knoxville, Tenn. area. 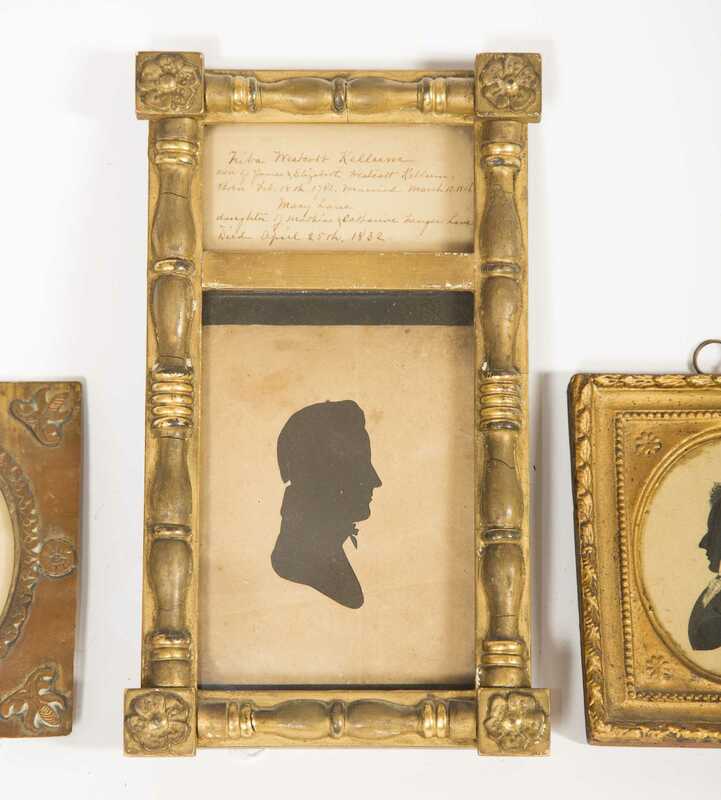 B) A cut profile of a gentleman with gold highlights in hair and on coat, 3 1/2" tall oval, set in a tooled copper frame with worn gold leaf, Provenance: Emerson Greenany Collection, New London NH, sold at R.Withington Auction, Hillsborough, NH #265, see sticker on reverse. 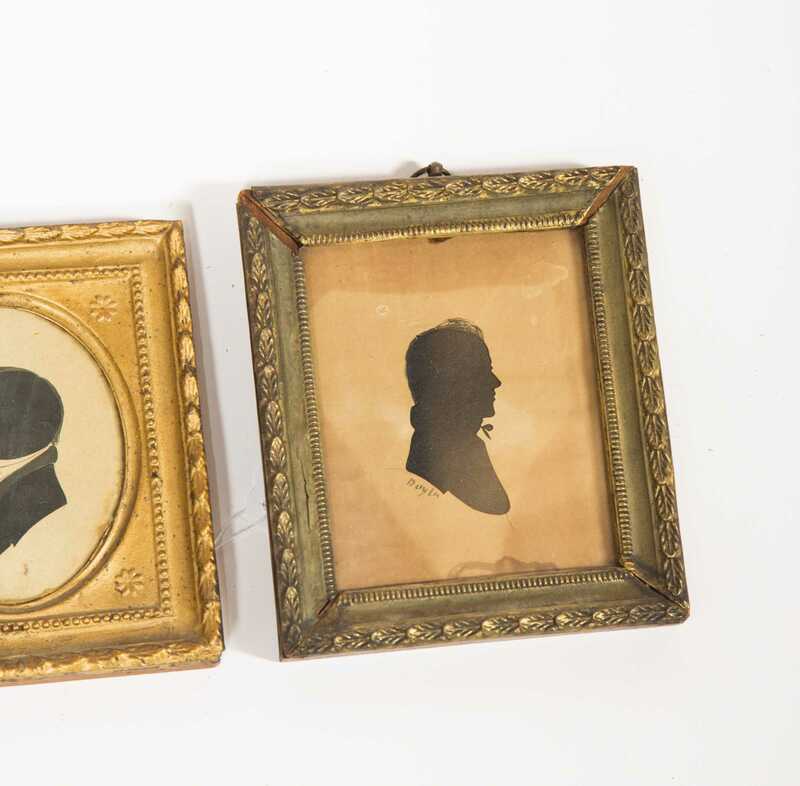 C) A cut profile of a gentleman with black painted in hair signed 'Doyle" (Williams S. Doyle, Boston 1769-1828), 4 1/8" x 3 1/4" framed under glass. 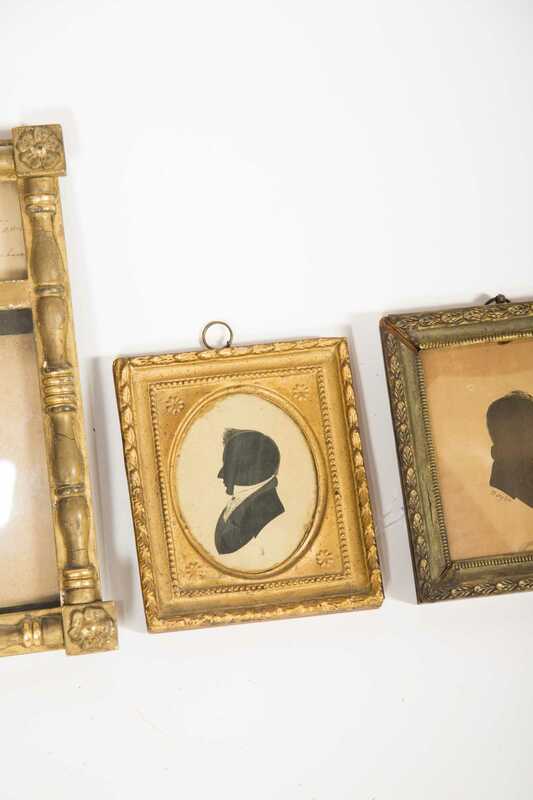 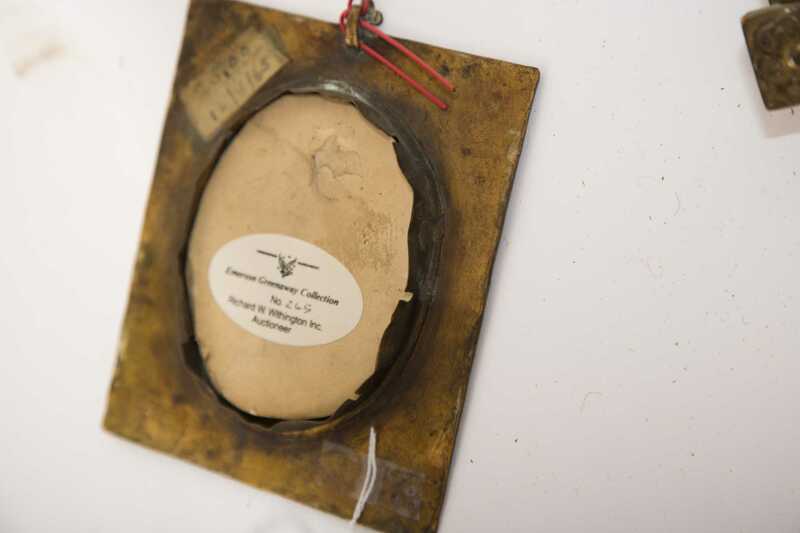 D) A cut left land, profile of a young man with painted hair and collar, 3 1/2" oval, gold painted metal clad frame, original, pencil inscriptions on back, "Phinas Stearns".